"It started life out as a Honda," [he said]. "It is a 125n, a early 1970's model, but it has some aftermarket parts on it. The engine has been replaced and the exhaust is not original, but it is the typical bike for this area. It has been beaten up, but these things are pretty incredible. They can take a beating and they still run." 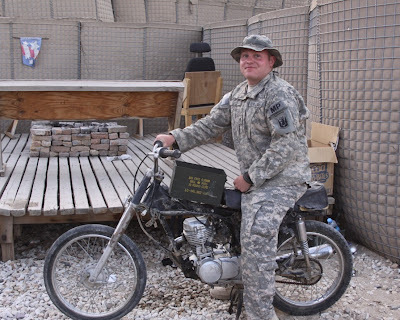 Genest plans to bequeath the bike to a soldier replacing him on a future rotation. I plan to point that out to MauserMedic, who writes the witty and gritty "Mausers, Medicine & Motorcycles" blog. Given the possibility of some wheels, it sounds like Mauser should look Genest up, if he's ever in the neighborhood. On his "Deployment to Afghanistan" blog, Army Lt. Col. Richard Phillips has posted some pix of some Bagram "B-huts." I know the comparison is a bit of a stretch, but there's at least one image that evokes for me the crowded urban street conditions found elsewhere in the Middle East. But hey--that's the architectural geek talking now. The "buildings" range from tents to containerized buildings to "B" huts to "brick and mortar" structures. An indoor, porcelain toilet is still a luxury. Most residents of Bagram live in a tent (with about 100 of their closest friends) or in one of our infamous "B" huts, which is basically a wooden shack housing from 4 to 8 persons. Note to self: Bring a cordless drill and other power tools on the deployment, as well as a video camera. We'll shoot a pilot series about extreme B-hut remodelings. Call it ... "This Old Hootch?" Recently, I received some difficult news from home. My mother, who has been ailing for some time took a turn for the worse. Long story short, a couple of days and one Red Cross message later, and I am packed and bound for the States. Due to the nature of the situation, and the proximity of the conclusion of our mission here, I will not be coming back to the 'Stan with this particular mission. I visited with all my Afghans today and said goodbye. I told them that I admired their courage and their willingness to stand up for their country against those who would snuff out democracy. I congratulated them on the progress that they have made, and I assured them that it has been my honor and my priviledge to serve alongside them here in Afghanistan. The friendships and memories I have from this place will forever change how I look at things. Martin's blog has consistently been plain-spoken, well-reasoned, and easy-to-understand. Afghanistan is no doubt a slightly better place than when he found it; I am, no doubt, a slightly better person for having learned from his words. Godspeed Capt. Martin and his family. A Minority Report: "Death to PowerPoint!" Earlier this week, the New York Times "At War" blog asked for reader comments regarding Elisabeth Bumiller's feature on the military's over-reliance on Microsoft PowerPoint. The article is titled: "We Have Met the Enemy and He is PowerPoint." As both civilian and solider, I've spent the past couple of years occasionally experimenting with out-of-the-box ways to use PowerPoint. For example, I've tried Pecha Kucha--20 slides, 20 seconds per slide, automatic-advance, no exceptions. I've tried to reduce any presentation into only 7 slides. Anything to avoid inflicting "death by PowerPoint" on friendly forces. I’m a knowledge management team member in an Army brigade headquarters. 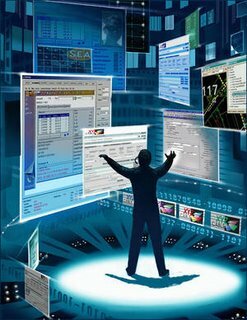 Our focus is to “put the right information in the right hands at the right time.” To meet the commander’s requirements in how and what data is tracked and graphically presented, we dabble in a little art, a little science, and a little science-fiction--think Star Trek and The Minority Report. It's also whole lot of on-the-job training and on-the-fly solutions. There are too many manuals on how to make our new computers do their thing, and not enough on how to make our humans do theirs. A lot of it is “commander-centric,” of course--and dependent on what kind of learner the boss is: If the commander wants PowerPoint bullets, he gets bullets. If he wants drawings and photos, he gets pictures. If he’s color-blind, the staff needs to revisit its “red-is-bad, green-is-good” color-coding scheme. The medium has to be appropriate to the audience, even if the "audience" is just one guy. It’s important to realize that PowerPoint and similar products affect how users both develop and present information. The former is hard to quantify, but maybe it will suffice to say that “when you use a hammer, everything looks like a nail.” Breaking concepts into bullet points can a useful cognitive process, as long as it doesn't become a crutch. To avoid it becoming a crutch, the limitations of the tool have to be taken into account at all times. Otherwise, one runs the risk of forcing intellectually square pegs into inappropriate holes--or down bandwidth too small or slow to even transfer the file. Obviously, PowerPoint doesn’t do such a good job communicating such nuanced data as poetry. And counterinsurgency (COIN) isn't like the bare-knuckled prose of force-on-force warfare--it's more like tactical poetry. Regarding the presentation of data, one of the most-significant efficiencies possible is limiting (or eliminating) the staff-time in collecting, collating, correcting, and culling PowerPoint slides. It frees up not only a poor Battle Captain with a PowerPoint Ranger shoulder-tab, but also all the staff worker bees who have to feed him/her information hours prior to the actual deadline. 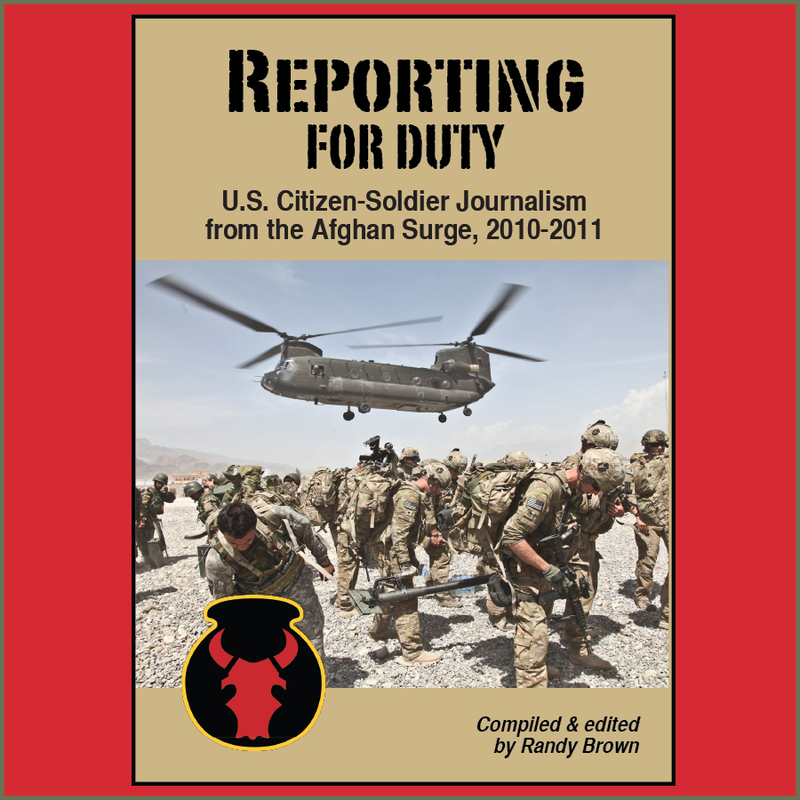 If it takes 6 to 12 hours to prepare a briefing, that means the information that is eventually presented to the commander is, by definition, 6- to 12-hours old. It's "stale." It even risks being "inaccurate" to current conditions. PowerPoint (and ‘storyboards”’) are static--snapshots in time. By migrating the presentation of information away from PowerPoint, and toward near-real-time data visualization and collaboration tools, we not only make our organizations more efficient, we make our warfighting capabilities more accurate, flexible, and effective. Our KM team's goal is to prove to the commander that he doesn't need situational briefings, that he can sit down in front of two computer screens at any time of his choosing, and that we can digitally paint him a live-and-in-color picture of what's going on, right now, on the ground--with his people, equipment, and mission. We may not rid ourselves of PowerPoint entirely, but, as my Engineer buddies say, "Essayons." In English: "Let us try." Sure, quoting U.S. Secretary of Agriculture (and former Iowa Gov.) Tom Vilsack regarding the upcoming mission of an Iowa National Guard Argicultural Development Team (A.D.T.) was a little well, corny: "We're not trying to turn Afghanistan into an Iowa cornfield," Vilsack said. "The emphasis will be on traditional agriculture." But hey--it's not like marketing Iowa pork is going to "play in Peoria." Or Paktika. Or Paktiya. Or ... OK, I'm done with the provincial names now. University of Iowa student and fellow citizen-soldier Dan Tallon, 21, a political-science major who is slated to deploy to Afghanistan later this summer, recently told the Cedar Rapids Gazette that he plans to petition Iowa lawmakers to avoid enforcing the Department of Defense's "don't ask, don't tell" policy. The policy is currently under DOD review; President Obama called for its revocation in his 2010 State of the Union speech. Tallon is apparently not gay (not that he'd be able to tell, under the "D.A.D.T." policy--and not that it would matter), but has family members who are. I've served with soldiers that I've known to be gay, and no doubt, there are more that I don't know about. Personally, I figure that if I don't want to have other people poking around in my personal business, I shouldn't go poking around in theirs. I don't know Tallon, and I don't know his politics. But I'm proud of any citizen who raises his or her hand and pledges to defend the Constitution, prouder still of a college student who has the courage to stand up for what he believes is right, and proudest of all that he is an Iowan and a fellow citizen-soldier. To paraphrase a little faux-Voltaire: "I may not approve of what you say, but I'll defend your right to say it." Senate File 2226, which will allow a parent is in the U.S. Armed Forces to ask the court to transfer his or her child-visitation rights to another relative while the military member is deployed. Senate File 2274, extending college benefits for military members and their families living in Iowa or on the Rock Island Arsenal. Senate Files 2318 and 229, which are intended to improve military readiness by preventing utility companies from shutting off gas or electricity at an activated service member’s home, allow Iowans on active duty suspend payments on their professional liability insurance coverage. When a soldier deploys it affects the whole family. I don't know the total "cost" this deployment will have on my family. Society recognizes there is a cost and many people are quick to shed a tear, shake a hand or share a smile in honor of my service. I'm grateful and will always return a warm thanks. What goes overlooked is that my wife and kids sacrifice the same valuable resource I do--time. April is the month of the military child, and I want to recognize my kids. I want my kids to know that I realize they've sacrificed a large portion of their young lives to support the work of maintaining America's freedom--and I'm grateful. I want them to know that even though they stand shorter than most men and women in uniform, their love for their country is measured by their heart not their height. In my absence, my wife continues our noble responsibility of raising four grateful, God-fearing Americans. She teaches them to honor their father's service - a lesson my World War II veteran grandfather taught my mother, which my mother instilled in me and that I hope my children carry on. During the few days left in April, my hope is that Americans will recognize military children and their support for soldiers. My kids represent four of them, and I am extremely grateful for their sacrifice. About 300 U.S. Army Reserve soldiers of the 103rd Expeditionary Sustainment Command, Des Moines, Iowa, participated in a send-off ceremony last Sunday. I wish them Godspeed on their deployment to Iraq, and look forward to reading their public affairs officer's blog on the Des Moines Register website. Over the weekend, I criticized news reporters' difficulties in accurately distinguishing between Army Reserve and Army National Guard. I've received a few notes inquiring about the differences. 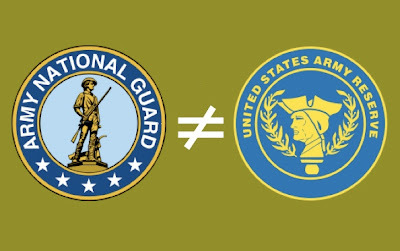 Usually, the easiest way to explain the distinction is to say that the reserve answers to the president as commander-in-chief, while the National Guard usually answers--until federalized--to the governor of a given state or territory. That's why the National Guard can usually respond more readily to a natural or other disaster: It's not a proximity thing--we're neighbors, after all--it's a paperwork thing. 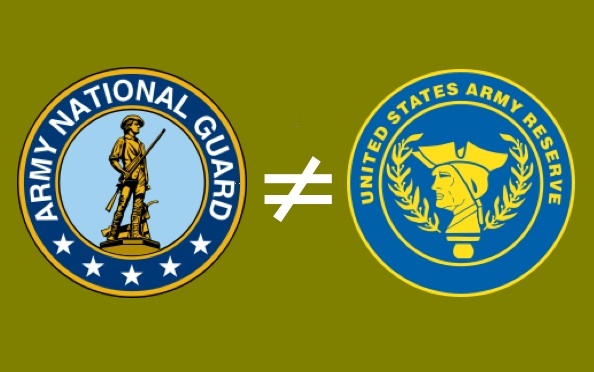 The distinction between guard and reserve can get confusing, I know--even more so when you try to put our respective organizations on the Iowa map. Locally, you see, the Army Reserve is based at Fort Des Moines, an historic remnant of a former World War I training site for black officer candidates. It was also a World War II training site for Women's Army Corps (WAC) troops, both officer and enlisted. The Iowa National Guard headquarters is located on the north side of the city of Des Moines, at Camp Dodge. This points to another rule of thumb: A federal Army installation is likely to be called a "fort," while a state installation is more likely to be called a "camp." I'm not certain that's always true, but it's true enough. Often confusing to visitors is the existence of Fort Dodge, a city of more than 25,000 in northwest Iowa. There have actually been times when visiting military personnel have flown into Des Moines, driven past Camp Dodge, to arrive a couple of hours later in Fort Dodge, only to learn that their destination was actually the camp, not the city. Remember, in the Army, we don't get "lost." We merely get "mis-oriented." 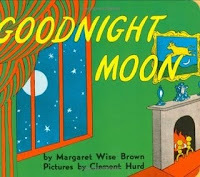 Bedtime prayers with Lena have always been sort of a beatnik version of the beattitudes. We start with the standard verse of "now I lay me down to sleep," followed by a roots-to-branches repetition of the immediate friends-and-family tree, followed by a mad-minute of shouts-out and God-blesses to everyone and everything that a 5-year-old warrior princess can bring to heart and mind. As with any oral tradition, the details may change slightly, day by day, but the themes stay true. By eavesdropping on my child's voice-mail to God, however, I occasionally pick up on some new thoughts. Tonight was the first night, for example, that Lena evoked the United States Marines. I don't think it was because I was going to sneak off downstairs to watch HBO's The Pacific, after everyone else had gone to sleep. My best guess was that she needed something to rhyme--we're working on reading and rhyming skills--with another recent addition to our nightly prayer's refrain. That's just a theory, however. God bless astronauts and Space Shuttles. God bless marines and ballerinas. Again, I'm not sure where that last line came from. Took me a little by surprise. Still, I'm amused by the sounds of the words, as well as the juxtaposition. Besides, I'm not about to argue with any little girl who loves both Devil Dogs and dancing divas. Semper Fi, Princess. Sweet dreams. I'm beginning to think that the Associated Press does more damage than good sometimes. Either that, or the headline-writers at the Army Times need a remedial course in basic fact-checking. WATERLOO, Iowa — The Defense Department said Saturday that a soldier from Iowa has died in Afghanistan. Laborde was assigned to the 649th Regional Support Group in Cedar Rapids. What's the problem? The 649th Regional Support Group is not a U.S. National Guard unit. It's a U.S. Army Reserve unit. Same Army, but completely different organizations. Confusing the two is like writing a headline about a State Trooper losing his or her life in the line of duty, when it was actually a U.S. Marshal. Or a municipal police officer. They're all law-enforcement professionals, to be sure, but they're all different. Similarly, too many civilian reporters apparently think that all uniforms look alike. Memo to Associated Press: A quick Internet search--even looking it up in your newsroom's dead-tree telephone directory--will help avoid such mistakes in the future. This won't be the first time I've observed that careless headline writing and news reporting is hurtful to people like me, who go into mental overdrive every time we see or hear a reporter start off with the phrase "an Iowa National Guard soldier ..."
Be safe. Be vigilant. Be prayerful. Kanani Fong, a member of my blog's "Loyal Jirga," introduced me to the words of Rajiv Srinivasan, a West Pointer who is currently downrange in Afghanistan. Srinivasan's work is everything that Sherpa's is not: It's literary, long-form, and thoughtful. When I see that he's posted something new, I make sure to carve out a little space and time (and coffee) to savor it. Jirga member Ky Woman recently discovered a young "Red Bull" officer who's been blogging since March 2009! Not only that, as she pointedly pointed out to me, he's doing so in broad daylight. Maybe this means that my well-developed sense of paranoia regarding the Internet is mis-placed. Certainly, having an officer present in the burgeoning brigade blogosphere might give old Sherpa a little supporting fire. You know, for when the anti-Internet ice weasels come. Gabe Haugland is apparently an attorney in civilian life, but makes up for that by also being an Infantry guy. Remember: Everything we headquarters TOC-rats do is to help the warfighters in the Infantry. If it isn't, we should just hang it up and go home. Because we will have become a danger to ourselves and others, and not in a good way. I think that trying to work within a system that is rotten all the way from the very top [...] has a corrosive effect on Americans here. I’ve noticed its symptoms in myself, too. You become cynical about every Afghan official you meet, and something dies inside you every time you smile and shake hands with someone who should be in jail, or, in some cases, dead. Many foreigners I know in Kabul drink too much, exercise too little, and gradually Afghanize into lethargy. The Afghans, of course, have already Afghanized, and that’s the problem. [...] The best we can hope for now are the kind of Afghan government officials who identify with the interests of the government as though it were another tribe. They will at least protect its property and interests, which roughly speaking means our investment here. And of course some few genuinely care about achieving something here. It's just Citizen Sherpa talking here, of course, but I wish more of our political and military leaders spoke as plainly and realistically as this. Don't blow smoke, daisies, and democracies where the sun don't shine, just tell it like it is. A couple of weeks ago, the very same medical soldier who, back in 2008, inadvertently announced the deployment to my wife passed me as I was on the way into pick up my kids from daycare. She wasn't in uniform, but I was. "Hey, you got called up!" she said brightly. I wish I had been quick enough to say, "not in front of the kids." I know she didn't mean anything by it--in fact, she was probably trying to be supportive--but Household-6 and I haven't even started talking about the deployment with 5-year-old Lena and 3-year-old Rain. Lucky for me, I was on my way into the daycare center, not out of it, and didn't yet have the kids in tow. Later that week, I asked around the Tactical Operations Center ("TOC"). Apparently, my near-miss at daycare is a little more common than I would've thought. A couple of TOC-dads reported similar experience. One of our sergeants major described how, prior to a 2007 deployment, he'd been greeted by a good friend at the grocery store. The friend spilled the proverbial milk. Or let the deployment cat out of the grocery bag. Whatever. The sergeant major hadn't told his kids yet, either. So here's a new rule of thumb, for you true patriots and well-wishers everywhere: It's more than OK to say "thanks for your service." It's great to say "I like your uniform." If a soldier's kids are within earshot, however, don't wander off into the conversational minefield of "deployment" or "Iraq" or "Afghanistan." If the soldier brings it up him- or herself, then OK. Otherwise, mum's the word. Trust me on this one. Loose lips rock the family boat. I didn't feel any better when I saw my medical-soldier colleague that same week. Leaving the daycare again, one of her children was in the throes of a Chernobyl-class meltdown. I tried not to make eye-contact, because I've been there once or twice myself. I don't like feeling other peoples' pity. Or judgment. Or even sympathy. I fugured she might be the same. "Hey," she called out after me. "Does your unit have any more slots open for the deployment?" It was a joke, I know, a nod to the idea that ducking bullets downrange was somehow preferable to the occasional slings-and-arrows of outraged children. The smile I tried to flash, I fear, turned out more of a grimace. A couple of new guys showed up last drill weekend. Funny how a year ago, we were all talking about building the team, locking people in place so everybody could learn their individual jobs. Now, only a few months out, people are still getting moved around, assigned and re-assigned. 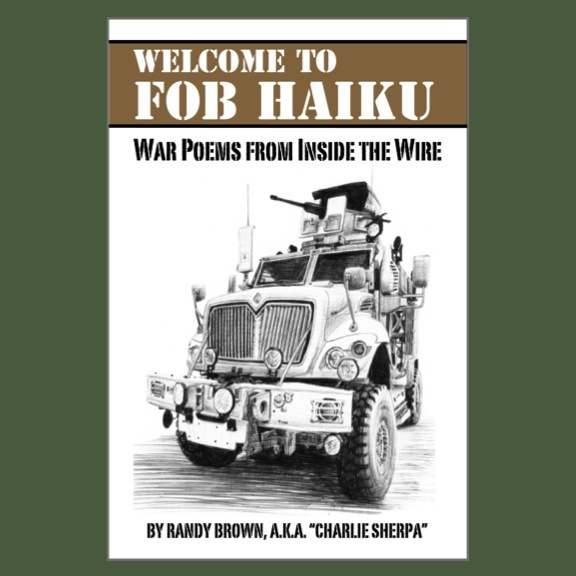 Everybody's friendly, and there have even been a couple of introductory gut-buster laugh-ins around the Tactical Operations Center (TOC) already. That's a good sign--a good potential dynamic for later on downrange, from what I can tell. It's hard to come into a unit, to figure out what's going on, or even to identify "who's my daddy" and "who's who in the zoo." The new guys even spent a couple of hours trying to draw an organizational chart, to help them visualize their respective administrative food chains. The exercise turned into something akin to a Dilbert cartoon. There are four phases through which a team must evolve to achieve levels of high-performance: "Forming, storming, norming, and performing." Within the brigade TOC, we're still at the "forming" stage, although you can occasionally tell that people are becoming frustrated--with the fast operational pace, with the the dawning reality of deployment, with each other. Cue Billy Joel: "There's a storm front coming ..."
We didn't tell the new guys about the "forming and storming" stuff. Instead, we also told them that joining the Brigade TOC parallels the Five Stages of Grief: "Denial, Anger, Bargaining, Depression, and Acceptance." We also showed them the Army field manual that describes how the brigade staff sections are organized. 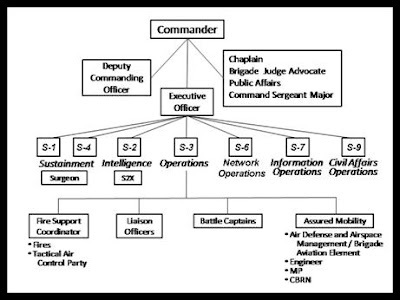 Organizationally, the staff sections (sometimes also called the "'S' shops") all answer to a primary staff officer and/or non-commissioned officer (N.C.O.). When someone refers to the "S1-actual," for example, they're talking about the primary staff officer responsible for personnel and administration issues. When they refer to the "S1," they might be talking about the same individual, or the whole section that works for him or her. Side note: When using Hollywood callsigns over the radio, you can also pretty much determine who the first four primary staff designators are. As I've mentioned before, "Ryder" is the brigade callsign. So "Ryder-1" is the brigade S1 (Personnel) officer; "Ryder-2" is the brigade S2 (Intelligence) officer; and on up until "Ryder-6." By tradition that pre-dates the S6 (Communications) position, the "6" is the commander, so the scheme breaks apart a little after that. My wife wanted to know where the "Household-6" moniker came from, so there you go. The Chaplain: The commander's right-hand man (or woman) on moral and religious issues. The Brigade Judge Advocate (B.J.A. ): An Army lawyer, commonly referred to as the "JAG," for "Judge Advocate General." The Public Affairs Officer (P.A.O. ): The commander's adviser on dealing with the media, and official unit spokesperson. The Command Sergeant Major (C.S.M. ): The highest-ranking enlisted soldier in the organization. Looks out for the troops. Of course, in reality, things don't break out that easily. Breaking down the walls among each function, the brigade staffs also come together in various ad hoc, cross-disciplinary teams. An "Information Operations Working Group," for example, might include representatives from the S2, S3, S7, and Public Affairs sections. You might even see a JAG there, just to keep things interesting. The sergeant major from Training Site burst into the room where we've set up a temporary TOC--a "Tactical Operations Center." The brigade headquarters "jumped" with about two weeks' notice, displacing from the armory in Boone, Iowa, to an old hospital and barracks complex on Camp Dodge, near Johnson. The camp is the largest military installation in the state of Iowa. Luckily for me, the sole guy on duty at the time, the sergeant major was in a good mood. He usually is, but the word earlier in the week had been that he'd been seen in Extremely Grumpy Mode. I'm actually surprised we don't see the Dark Side of the Sergeant Major more often. After all, anybody who's ever worked in building management knows that tenants only bring problems. "'Restricted Area?!'" he bellows at me good naturedly, pointing to the sign that had been posted outside on the should-have-been-locked door. "Where's your access roster?" As the sole representative of the brigade headquarters present, I get the full treatment. He's venting, and I'm always willing to learn new tips and tricks. He makes the point that brigade pretty much jumped TOC without telling anyone, then wondered why there were no buildings, telephones, chairs, or photocopiers to welcome the liberation. I mention to him that, during my in-processing meeting with the Iowa National Guard's Human Resources office, I'd noticed that my orders still indicated my duty station would be Boone, Iowa. "I had an old sergeant major once teach me this phrase: 'Meals, Wheels, Orders, and Quarters,'" he says. "You make sure to take care of those things, and you're always good to go." In the weeks following that encounter, those words have kept coming back to me. The TOC crew has been cranking out orders left and right. The "future operations" come up with the plans 90-or-more days out. The "current operations" guys are supposed to execute the plan. Normally, we refer to short-term notice as "shooting at 25-meter targets." The way things have been working recently, however? "Knife-fight" range. "Hand-to-hand combat" range. It's a fast pace, but at least you can say that there's always something different. The Army loves acronyms, and it loves coming up with (allegedly) easy ways to remember things. I was reminded of that again recently, while testing on individual land-navigation skills. A handful of mnemonic tricks came flooding back as a bunch of us middle-oldsters trudged around some Midwestern wetlands, looking for little numbered flags, counting our distances in paces, traveling along this and that compass direction. "If things in Afghanistan ever find me leading troops across a flat wet plain armed with nothing more than a Boy Scout compass," says Trooper, "we will have bigger things to worry about than my land-navigation skills." He's right. There probably aren't too many flat wet plains in Afghanistan. From what I can tell, the whole country is practically a Frank Gehryesque crumple of contour lines. One of the navigation tricks we re-learned is always at your fingertips. Want to play along at home? 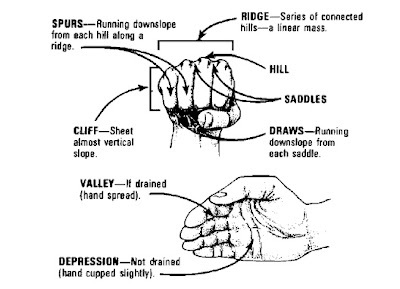 Just make a fist, and you've got an instant model six of the eight terrain features: "hill," "ridge," "spur," "draw," "saddle," "cliff." Open your hand slightly, and you've got the other two: "valley" and "depression." Click here for definitions of each. Obstacles: What features prohibit, slow, and channel movement across the area? Cover and Concealment: What will stop bullets from hitting you? What will hide you from view? (Fields of) Observation: From where can you can best view the area? Key Terrain: What features are critical to controlling the area? Avenues of Approach: What features offer high-speed travel into, out of, and across an area? In a counterinsurgency (COIN) mission such as Afghanistan, however, OCOKA only gets you so far. After all, the COIN "fight" is less about shooting, moving, and communicating--although there's opportunity for all that, too--and more about winning friends and influencing people. At the very least, it's about not making any more enemies than what you've already got. So, here's the proposal at hand: Name any sort of human activity, and it will fall under one of those six categories. And, if it does that, it can be named, labeled, measured, located, mapped, and analyzed. If it can be mapped and analyzed, it can be influenced and changed. Remember Archimedes and the lever? "Give me a lever and a place to stand, and I will move the world." Remember land-navigation, circa 1988? "Give me a compass and two known points, and I will tell you my location." Both our military tools and purposes have since evolved, gotten more sophisticated. I no longer worry about taking that hill in a glorious cavalry charge. Instead, I worry about explaining and illustrating how the people who live on that hill can be influenced to buy into the concept of a national identity, a central government, and an interconnected world. Simple, right? Layer the PMESII categories atop one another, and you may reveal connections and concentrations both physical and figurative. Identify the movers and shakers. Find out where people live, where they work, how they talk to each other. Follow the money. It sounds like flashpan magic and mafia drama, but it's really just roll-up-your-sleeves community policing and planning. Give me data, in other words, and I will draw you a map. Then, we will move the world. We can even shake hands on it. This (next?) 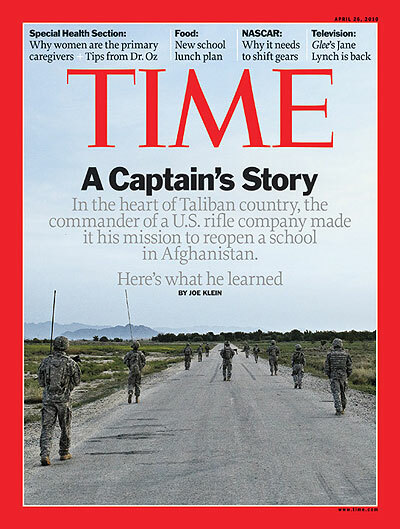 week's Time magazine cover story regards both tactical and practical factors in implementing counterinsurgency (COIN) practices. Writer Joe Klein tells the story of how a young U.S. Army officer struggles to get a school re-built in the southern Afghan town of Senjaray, Zhari District, Kandahar Province. The past four months in Senjaray have taught [Capt. Jeremiah Ellis, 1st Battalion, 12th Infantry Regiment, 4th Infantry Division] how difficult it is to do COIN in an area that is, in effect, controlled by the enemy — and with a command structure that is tangled in bureaucracy and paralyzed by the incompetence and corruption of the local Afghan leadership. Indeed, as the struggle to open the school — or get anything of value at all done in Senjaray — progressed, the metaphor was transformed into a much bigger question: If the U.S. Army couldn't open a small school in a crucial town, how could it expect to succeed in Afghanistan? That task is more difficult because the 1/12 battalion hasn't exactly had a terrific rotation in Afghanistan. "We've been asked to do a lot of different things," says Major Korey Brown, the battalion's executive officer. "They detached us from our brigade, which is headquartered in eastern Afghanistan, and sent us out here to Zhari district to be storm troopers — that's what General Vance called us — and that's what we were trained for, that's what we like to do. To find, fix and finish the enemy." But the mission changed with the arrival of General Stanley McChrystal, as commander of the International Security Assistance Force in the summer of 2009. "It's not about how you engage the enemy so much now. It's how you engage your district governor," says Brown. "That's a huge change for guys like us — call us knuckle draggers or whatever, but we weren't trained to do COIN." The 1/12's problems were compounded by a practically nonexistent local government, led by a district governor who insisted on keeping his office at the battalion's forward operating base, rather than among the people. "And then the Afghan army regiment we were supposed to partner with was diverted to Helmand province, for the battle in Marjah," says Brown. And the so-called civilian surge — the civil and economic development component of the offensive, led by the State Department — arrived late and weak. "So the 1/12's been out there, pretty much alone," a State Department official based in Kandahar told me. "No Afghan military partner, a lousy relationship with the local government and not enough help from us." [...] Zhari is strategically crucial, the gateway to Kandahar city from the west, the staging area for most Taliban activity in the region. It is a largely rural district straddling the Afghan Ring Road and the Arghandab River. It includes the Taliban leader Mullah Mohammed Omar's hometown of Sangsar. The Taliban aren't outside agitators here; they are neighbors — not exactly beloved neighbors, given their propensity for violence and peremptory taxation, but more trustworthy than a deeply corrupt Afghan government and much more familiar than the foreign troops. Senjaray is the largest population center, a town of somewhere from 8,000 to 12,000 (there hasn't been a census), at the eastern end of the Zhari district. If Senjaray can't be won over, Kandahar won't be. File this mock-motivational poster under: "Things that make you go ... 'moo.'" I recently found this Internet artifact printed out and posted on a National Guard office cube wall. I think it's funny, but I'm not entirely certain as to why. We were guests in this particular armory, using a different unit's classroom facilities. The unit that was hosting us wears the "Hawkeye" patch, rather than the Red Bull. Despite the usual good-natured (BBQ?) 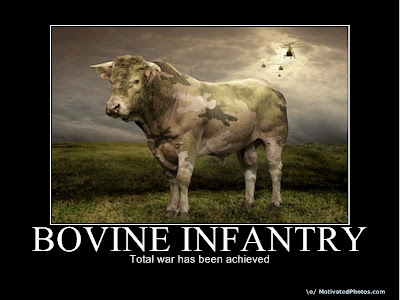 ribbing between the "chickenhawk" and the "grazing herd" crowds, however, I'm pretty certain that "Bovine Infantry" is NOT a reference to the Red Bull. Not even a little bit. Know what I find laugh-out-loud funny, however? That a Google search for "Bovine" plus "Infantry" also turned up links to the 34th Infantry Division Wikipedia page. In Google, there may be truth. Something else I found while hoofing around the Interweb? On at least one webpage, someone at Blizzard Entertainment has humorously mashed-up the storylines of its Starcraft and Warcraft real-time strategy games. Starcraft is "space marines vs. aliens," while Warcraft is "knights vs. orcs and zombies." So how did they mash them up? How about substituting beefy anthro-cow-morphic "Tauren Marines" for run-of-the-mill "Terran Marines"? See the image below? Udder genius. The Korangal Valley is in the Eastern Afghanistan province of Kunar. 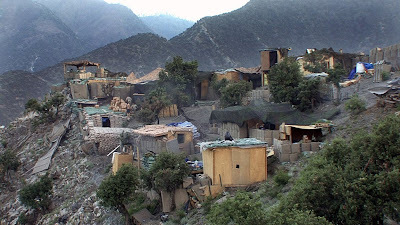 In past years, it's been the setting of some fierce fighting--in 2009, more than 60 percent of insurgent incidents in Afghanistan occurred in Kunar Province. Some 42 Afghan and U.S. soldiers have been killed in operations there since 2005. The 6-mile-long Korangal Valley was the site of Operation Red Wings, 28 JUN 2005, during which a 4-person SEAL team encountered a hostile force of 50 to 200 fighters. A rescue CH-47 Chinook helicopter was subsequently downed by a rocket propelled grenade, killing all eight SEALs and eight Army personnel aboard. Of the original SEAL team, only Petty Officer 1st Class Marcus Luttrell survived the operation. He has since co-written a book, "Lone Survivor." [First Lieutenant Brian Knapp] agreed. “You’re not going to win their hearts and minds if they’re not going to help themselves. We tried to bring them hydropower, wells, a road, like we do elsewhere, but here we’re a blocking position” — stopping insurgents from reaching more populated areas. Readers interested in learning more about the Korangal Valley can look forward to "Restrepo," a 2010 Sundance Festival Grand Jury Prize-winning documentary produced by photographer Tim Hetherington and writer Sebastian Junger. Starting in 2007, the team repeatedly embedded with a platoon of 173rd Airborne Brigade Combat Team soldiers at a patrol base named after fallen medic Pfc. Juan Restrepo. The 90-minute documentary is slated to air on the National Geographic Channel in Fall 2010. Junger, author of such books as "The Perfect Storm" and "Fire," has also written "War," a book about his Korangal experiences. It is due for release 11 MAY 2010. A final note: "SEAL of Honor," a biography of U.S. Navy Lt. Michael P. Murphy, who was posthumously awarded the Congressional Medal of Honor for actions during Operation Red Wings, is also due for release 05 MAY 2010. UPDATE: Earlier today, one of my Facebook contacts pointed out a 2008-2010 MSNBC series of video reports from the Korengal Valley, including one filed this week. Visit the link here for free access to all seven videos. Must-see-TV for deploying soldiers! Regular readers of Red Bull Rising will recognize that I've been having some fun with the concept of "tactical fortune cookies," which my brigade buddies and I create by adding the words "... on the deployment" to whatever predictions we find in our favorite after-Chinese-takeout treats. Yes, it's awfully similar to the sophomoric practice of adding the words "... in bed." We have no problem with that. "Second thoughts are often wiser than first impressions ... on the deployment." "You can undertake and complete anything ... on the deployment." "You circle of friends will soon grow larger ... on the deployment." "You'll experience real change for the better ... on the deployment." "Honor is your greatest reward ... on the deployment." "Contentment is yours when you find it does not come from things ... on the deployment." "You will find good food in the near future ... on the deployment." "Wealth is in your future ... on the deployment." "The fun side of a relationship begins to unfold ... on the deployment." "Be alert, practical, and honest. Practice Random Kindness and Senseless Acts of Beauty ... on the deployment." Want to make your own fortunes? Christine Hofmann-Bourque at The Strength Behind the Strong--a blog regularly spotlighted in the Red Bull Rising sidebar--recently suggested a way to order custom fortune cookies for homecoming (and, I'm sure, send-off) parties. Which reminds me of the time that one of my high-school friends hand-made some custom fortune cookies for a mutual friend, someone who, while a funny guy, had the adolescent tendency to make Eeyore look like an optimist. He would subsequently carry his personal fortune in his wallet for years after the fact. What did it say? "Nothing good will ever happen to you ..."
It is last Friday afternoon, and all the top-ranking people have left just left the classroom. Those that remain are all dirty and smelly, either covered in the fine grey "charcoal" dust of our earlier chemical-decontamination training, or the burning-lemon scent of the industrial-strength wipes we mistakenly used to attempt cleansing ourselves of the charcoal. 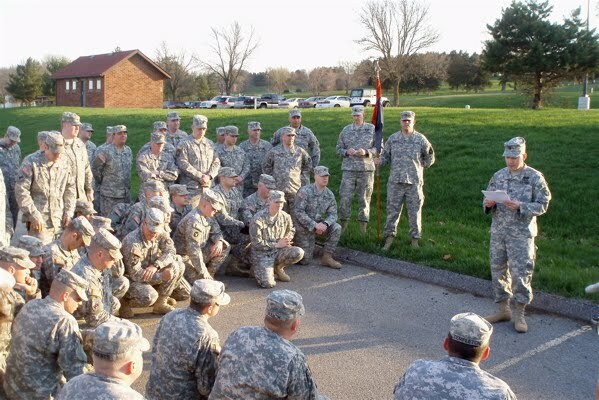 It is a beautiful Iowa spring day just outside the armory door, and even the brigade S2 (Intelligence) officer giving us the briefing says he can practically smell the beer he has stashed back in his hooch. We are getting the once-over-the-world counterinsurgency (COIN) brief. The uppity-ups and muckity-mucks got to leave early this training day, but they'll get theirs later, when they attend the full-bore three-days-or-more "COIN Academy." We few, we happy, non-chai-tea-drinking few, will drink it all in, in less than 60 minutes. The PowerPoint slides tell of varying levels of insurgency, offering relevant historical examples of each, and relating them to recent (anything in the last 50 years) political situation in Afghanistan. The briefing also heavily quotes U.S. Gen. Stanley McChrystal's recent counterinsurgency guidance. I've got something of a reputation for asking questions. Sometimes, I'm trying to be smart. Other times, I'm trying to get smart. And then, there are the times that I'm trying to make a point. A Friday afternoon of an over-long week of training, stuck in a dark room on a beautiful sunny spring day, while swimming in our own lemony-fresh filth is probably not the best time to ask, "Where are the civilians in all this talk?" The Junior JAG ("Judge Advocate General"--an Army lawyer) says that the military is there because we're the ones who can secure the environment and set-up civil-structures quickly. "The hippies in the civilian agencies and NGOs [Non-governmental Organizations] take too long to get there," she says. "And after they get there, they want to take 50 years to get things done." A crusty and wise warrant officer reminds the class that the Provincial Reconstruction Teams (P.R.T.) are now under a more-unified command. 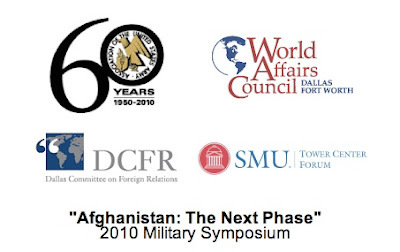 The 160-person PRT are multi-disciplinary, multi-agency, civil-military units that focus on helping Afghans extend the reach and influence of the central government. Despite the room's grumpy vibe, I'm able to help steer the conversation back to some brief and pithy points. Granted, what little I know about civil affairs and capacity-building I've learned as a grassroots neighborhood activist. I've also been a homeowners association board member (a suburban jirga!). I also have a little book-learning about consensus-building and community planning from some studies in architecture school. 1) The "hippies" are right, counselor. Counterinsurgency fights are decades-long. 2) In order for the military to focus on what we do best, we need more civilian experts downrange. 3) We also need to engage more civilians at home, to help bring changes we all desire to Afghanistan and surrounds. My blogger-buddy Jeff Courter recently attended a Chicago-area fund- and awareness-raiser with "Three Cups of Tea" author Greg Mortenson. Mortenson, a former mountaineer, started the privately funded Central Asia Institute (CAI) to help build non-religious schools in Afghanistan and Pakistan. We need more Greg Mortensons. Through Courter, I've been introduced via e-mail to Dallas-area businessman John Stettler. Stettler's actively supporting a number privately funded efforts aimed at building awareness, capacity building, and helping people. (Check out War Kids Relief site for one example.) Not only that, he's thoughtfully attempted to gather interested parties following this coming Saturday's (17 April 2010) Dallas-Fort-Worth-area World Affairs Conference. The theme of the 8:30 to 11:30 a.m. symposium is "Afghanistan: The Next Phase." The list of speakers is impressive--and even includes U.S. Army Chief of Staff Gen. George Casey, Jr. I just wish any "next phase" discussion would also include the potential and necessity of private, civilian solutions within the COIN fight. We need to find ways that we can address the political, strategic, humanitarian, and infra-structural problems in and surrounding Afghanistan. We can continue to address them through our military, but this is only a partial and short-term solution. We can address them through our governmental agencies. We can address them as private citizens, through donations, through awareness campaigns, through non-governmental or non-profit organizations. Tell him Sherpa sent you. Saturday morning, first formation of the day. Our former first sergeant handed off the guidon, then was promoted to sergeant major. He'll be top operations dog in the Tactical Operations Center ("TOC") now, riding herd on all us TOC-cats. The headquarters company commander--practically the lowest-ranking officer in our brass-heavy organization--told everyone to "form a horseshoe" and "take a knee," so he could read us the official "Red Bull" message about our mobilization dates. A day later, the Family Readiness Group (F.R.G.) rang down the telephone tree, to contact as many family members as possible. There are no surprises in the message. Last year's alert and the past week's rumor mill have taken all the drama out of the mobilization message. A journey of a thousand miles begins with a single bootstep. As you may have figured out, there's a lot of movement behind the scenes, both for the Sherpa family and for the Iowa National Guard's 2nd Brigade Combat Team (B.C.T. 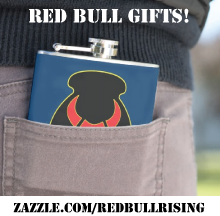 ), 34th "Red Bull" Infantry Division. On the personal front, I'd like to mention that Red Bull Rising was featured on a Slate.com digest of military-themed blogs called "The Sandbox." (Click here for the RBR post that ran on Slate 09 April 2010.) The mil-blog feature is under Garry Trudeau's Doonesbury comics and related projects. Needless to say, I was humbled and honored to be included in such company, and glad to add my voice to such a community. Unfortunately, however, I don't have much time to dwell on little victories right now: There's a mobilization order in the works. Has been for more than a week, if the rumor mill is correct. Earlier this week, our unit's leaders began presenting deployment-related information in "Town Hall" events across the state. Those events have been covered by local print and broadcast media. Also, our leaders earlier posted comments on the unit Facebook page confirming that a Nebraska battalion (approximately 400 soldiers in this case) is also involved in the 2nd/34th BCT's pending deployment to Afghanistan. As of this writing, I don't believe there's yet an official press release out about any of this. (Just checked the Iowa National Guard website, and found only a Town Hall schedule posted.) As an inside-outsider, let me say that it's ... interesting ... to see how Old School communications practices (such as press releases) are mixing and mashing against New School tools such as Facebook. It's a little like watching sausage being made. 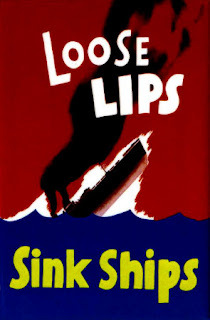 My buddies and I anticipate an official "Red Bull" message (note: this is NOT the actual code phrase for such a message--give me some OPSEC credit) will be issued sometime this weekend, when many 2nd/34th BCT units (including mine) will have their regular drills. "It's going to be different for everyone," [brigade commander] Col. Tom Staton told soldiers and their families here Thursday evening. "I tell soldiers, 'If you've never prepared your own meal, you might want to do that. If you've never washed clothes in a five-gallon bucket, you might want to try that a couple of times, so you know what it's like. If you're used to taking a shower and using porcelain bathroom facilities, you might want to try something different.' "
Staton, who was only half-kidding, will lead the National Guard's 2nd Brigade Combat Team when it heads to Afghanistan in late fall. The deployment is expected to include 2,700 to 2,800 Iowa troops, plus about 400 Nebraska troops. It will be the biggest deployment of the Iowa Guard since World War II. Staton said between 2,700 and 2,800 Iowa National Guard members from across Iowa will be joined by 400 members of the First Squadron, 134th Cavalry Regiment of the Nebraska National Guard when the Combat Team is deployed starting on July 29. “The brigade mobilization date is set for July 29,” Staton said. “But each [battalion] will leave separately at a yet-to-be-determined date. I can tell you once we start the mobilization, everyone will leave within 10 days to two weeks. Staton said when the [brigade units] leave Iowa or Nebraska, they will first go to Camp Shelby, Miss., for training. From Camp Shelby, the soldiers will then move to the national training center at Fort Irwin, Calif. In total, Staton said, the soldiers would receive at least two months of training before being deployed to Afghanistan. The team will spend one year in the deployment. “I’m 95 percent sure all of the soldiers will be in country by Thanksgiving,” he said. Exactly where “in country” is was a question Staton could not answer. The team will be mentoring and advising Afghan National Security Forces through combined actions, which means they work alongside Afghan soldiers and police officers. Staton said the mission would involve securing civilians and separating insurgents from the general population. Staton said the combat team will replace a Vermont National Guard Unit, and the Iowa force is in constant communication with Vermont team currently on the ground. “Their mission morphs everyday; what they are doing now, we might not be doing,” he added. Each brigade of the team will be fully sustainable, Staton said, and capable of self-sufficiency. Lt. Colonel Tom Rynders of Bellevue will have a large role too as one of 350 Nebraskans in the 1st Squadron of the 134th Cavalry Regiment headed to Afghanistan. "It will be more active and dangerous than Bosnia because of the insurgence of the Taliban." We were there as he and hundreds of other Nebraska guardsmen patrolled Bosnia in 2003. That was a peacekeeping mission. Afghanistan will be about providing security to the population and assisting Afghan forces in combat operations against insurgents. "Our units won't be doing missions on our own. We'll be partnering with Afghan Security or Afghan National elements," says Rynders. More news as it happens, more analysis to come. Thanks for your attention. Sorry I've got to run and get ready for drill tomorrow. The Army Combat Uniform (A.C.U.) offers a couple of make-your-own-fashion quirks, particularly in the placement and utility of pockets. There are the usual pockets, of course: Breast pockets on the ACU blouse, front- and back-pockets on the trousers. There are more alien pockets, however. Strange pockets that are potentially useful, if only soldiers could figure out just how to use them, or what to put in them. Take the upper-shoulder pockets, upon which the unit and combat-service patches are placed. The typical soldier in my unit carries his/her cell phone or Blackberry one of these pockets. That position apparently gives the most cloth-on-skin contact, so devices set to vibrating "silenced" modes can still be felt. Me? I put my personal smart phone in my right cargo pocket. I can't feel it when it starts vibrating, but I'm also not important enough to get a lot of calls. The most common complaints about the ACU cargo pockets are that the "hook and loop fastener"--the Velcro--wears out too quickly, and that the draw-cords intended to help cinch the pockets closed don't exactly do the trick. Word is that the new U.S. units heading-to-Afghanistan-only MultiCam uniforms will actually feature button-closure cargo pockets. When an H1N1 Swine Flu pandemic seemed imminent last year, Midwestern stores started stocking hand-sanitizer in jug-sizes. Even the Iowa National Guard started placing pump bottles of the stuff near the entries to some offices. I remember observing a natural disaster exercise in one of our state operations centers last summer, and suddenly coming to the conclusion that the night-shift soldiers had been drinking. It smelled like a Russian vodka freighter in there. Avast! It took me a couple of minutes to realize that it was actually the smell of alcohol-based hand-sanitzer. A couple of Red Bull soldiers who have already been to Afghanistan say that hand-sanitizer is one of the best ways to combat germs. There's a lot of hand-shaking and cheek-kissing to this counterinsurgency fight, as well as eating exotic and unidentified foods. (Potential Red Bull T-shirt: "Winning hearts and minds is a dirty business, so be sure to wash your hands.") I've even heard that one social technique is to pass the stuff around to Afghans and U.S. personnel alike, as a show of hospitality and sharing. Of course, if you're new to using one of those ACU pockets, it's easy to forget when you're patting-down your pockets prior to conducting personal laundry operations. I found that out this week, when I did a couple of larger loads. All my uniforms and T-shirts and socks came out smelling kind of, well ... like they had a bit more "kick" to them than usual. Let's just say that I now prefer my laundry shaken, not stirred. It was one of those slow-motion trip-wire moments, in which time seems to slow down and you're able to perceive all the moving parts, each moving independently, each a part of the whole. The briefer's slide refers to "second and third world effects," and the first- and second-highest ranking individuals in the room lock into instant eye contact with each other. As the classroom fractures into a 10-minute break, I overhear one of the officers say to the other, "Yeah, I caught that, too. I'll ask him about it." I continue to listen in as Col. York takes the briefer aside. It's a friendly but somewhat pointed conversation. Listening to him work is nearly always a pleasure. Somehow, he can ask insightful, incisive questions to push a person toward an answer or action, but in a way that never puts the person completely on the defensive. It's a skill that I personally have never been able to fully master. Col. York's questioning technique is a lot like laser surgery: Direct, precise, with little damage to surrounding tissues. By comparison, even at my inquisitive best, I'm just a dull scalpel; at my worst, I'm a cleaver. In the instructor's defense, the slides are not the his own. And one can certainly see how the original author may have confused the phrase "second- and third-order effects" (Army-speak for the ripple-effects resulting from a particular event or action) with the Cold War breakdown of the globe into the First, Second, and Third Worlds Consider: "Second- and third-order effects" plus "New World Order" equals "second- and third-world effects." In short, words matter to Col. York: Words shape thoughts. Words shape actions. During my last deployment, at an informal dinner our unit put on for the diplomat-in-charge, all the soldiers present stood up and briefly introduced themselves. When it was my turn, I used a phrase familiar to soldiers everywhere: "back in the world, I ..."
For whatever reason, most everyone else who followed used the same construction: "My name is [NAME HERE]. I'm the unit [DUTY POSITION HERE]. Back in the world, I [CIVILIAN OCCUPATION HERE]." I guess it was kind of catchy, or an easy conversational crutch. "Sherpa, tell me ... isn't [THE COUNTRY WE'RE IN RIGHT NOW] part of 'the world?'" Since then, I've watched my language more carefully around Col. York. Not because I fear his questions, but because I know he demands carefully chosen words ... and well-placed thoughts on target. When I was just a little Sherpa, I would help my dad spit-shine his black Air Force flight boots. I remember pouring a little water into the metal lid of the wax--the Air Force, after all, doesn't spit. I remember the smell of the polish, and how the oily black would seep through the old white T-shirts that we used to apply the paste, staining my fingers. I remember buffing the boots with a brush, the two-stroke rhythm lightly tap-tapping, tap-tapping. Not too hard. First across the heel, then the toe. When I got boots of my own, I recreated the ritual. 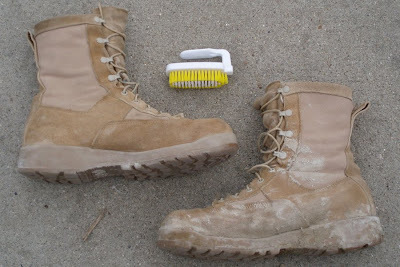 It didn't matter the time or place: dorm, barracks, apartment or house, all I had to do was break out the Kiwi-brand boot black and part of me would be back with Dad, in front of the TV, polishing his boots, trying not to get any black on the carpet. First the heel, then the toe. I got home today a bit of a muddy wreck. A lot of the headquarters company personnel--both enlisted and officers--are training and testing a significant number of their pre-deployment individual "warrior tasks" this week. These are basic skills that every soldier must know. Yesterday, it was death-by-PowerPoint stuff in the classroom: Subjects like suicide-prevention and sexual harassment awareness. Today, it was outside. It rained most of last night, and early this morning. The storms broke, however, just as we were shuttled by bus out into the training areas, all hard and beetle-plump in our Kevlar helmets and body armor. Springtime in Iowa quickly turned sunny and muggy, and we welcomed the coolness that exuded the tomb-like cinderblock "houses" from which we were attempting to root out OPFOR insurgents. We breathed the musty air in deeply. We were sweating from the adrenaline, not to mention bounding up to the building while wearing body armor. "Smell that?" said Trooper, once we got inside, "You can almost taste the Hantavirus." I managed to find the only still-active mud puddle as four of us stacked along the wall outside one of the buildings. The OPFOR ("opposition force") on the popped a machine gun out a second-story window. He couldn't get the angle. I hit the deck, then rolled and slithered even closer to the exterior wall. Seconds later, I followed Trooper through the door. On a different mission this afternoon, Trooper and I were running toward a building when small arms fire erupted to our front. We were in the open, and trusted our teammates to lay suppressive fires as we continued toward the objective. I squeezed off a few unaimed shots myself. In doing so, I missed the fact that the rolling ground underneath my feet suddenly dipped downward. Observers later complimented me on my "combat roll." I was glad they didn't call it something else, and that no one was carrying a video camera. Got muddy on that little downhill trip, too. And grass-stained. And sore. My right forearm--the same one I've been nursing a case of carpal tunnel in--has swelled up like Popeye as I write this. Might be a conversation piece tomorrow, when we do similar training. My neighborhood association's property covenants were written before there was a publicly available Internet. The typewritten (kids, ask your parents) documents have been passed down from one board of directors to another, photocopy after photocopy after photocopy. They're full of arcane language, too. Take, for example, the provision against satellite TV dishes greater in size than 6 feet in diameter. I like to say that my first military satellite dish was the size of a small radio-telescope. It certainly wasn't portable. And I remember when civilian TV dishes were nearly the same size. Nothing like the 18-inch Dish TV and Direct TV dishes that dot today's suburban landscape. As I get older, everything gets smaller and faster. 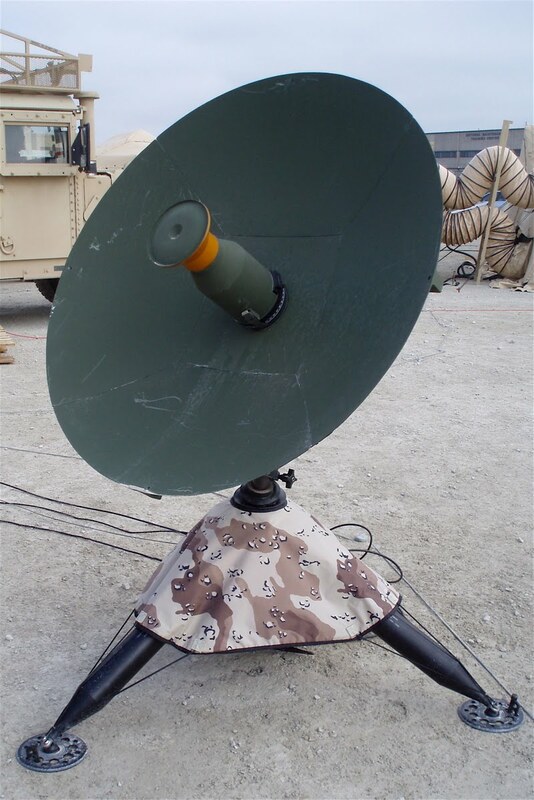 So, c'mon--isn't this the cutest little satellite dish you've ever seen? I have no idea what this one does or who it talks to, but it's sturdy and travel-size. Not only that, it demonstrates a compelling sense of retro-style. Woodland forest green with "chocolate-chip" camouflage accents? Don't you just want to take it home with you? "A good idea at the line-of-departure is a bad idea," the old soldiers' saying goes. It's an even worse idea when it's April 1. Now, I'll be the first to admit that good things can happen on the first of April--my first date with Household-6 happened on an April 1, for example, and look how well that worked out for everyone involved. In the United States--and in other countries, too--"April Fool's Day" is celebrated with all sorts of hoaxes and practical jokes, first-dates notwithstanding. The guys and gals who have come onto active duty early in my unit's pre-deployment have been working hard. We're obviously not at 100 percent staffing yet, but those who have shown up to the party have been moving trucks and supplies, establishing computer and communication systems, writing training and operations plans--all while trying to get as smart as possible on Afghanistan's people, politics, and problems. Weekends at home are now more rare than weekends at work. At the same time, the oft-repeated message from our leaders is: "Now is the time that you should spend plenty of time with your families." There's a diabolical echo of Catch-22 in this. After all, anyone who has just come onto orders hasn't accrued enough military leave to take time off to spend with their families. Roger. So it's Thursday, April 1. And someone strolls through our makeshift Tactical Operations Center (TOC) and says that one of the battalions is getting a pass for Good Friday. Lucky red devils. Later, that same person ducks back into the TOC and says that the entire brigade is now getting a pass for Good Friday, given how much we've been working weekends. There has to be a catch, we all say. No, we're told, this one is confirmed. Comes all the way down from the top. Like Ronald Reagan said, "Trust, but verify." We verified. And it turns out that someone had a good idea at the line-of-departure. Everybody is giddy like schoolchildren. Household-6 immediately issues a Top Ten List of Things Sherpa Can Work on at Home. Then 1630 hours (4:30 p.m. civilian-time) rolls around, and we're told that, while our leaders really, really intended for us to go on pass, they hadn't gotten full approval from the paperwork monkeys. The pass is rescinded, before it's even issued. It was no joke, but it was April Fool's. As a writer, I came pretty late to the blog-party. That was partly by design--the old rule of "Write What You Know" means first achieving a certain level of self-awareness about ... well, Just What Exactly Do You Know. That, and I've always turned away from journaling and diary-keeping: Why write about writing, after all, instead of just writing? Yes, some of that last paragraph is internally contradictory. Sue me: I contain multitudes. I finally realized that, after more than 20 years in my country's uniform--one weekend at a time and two weeks a year--I knew the Army National Guard. And serving God, Country, and Community. And something--not everything--about what it was like to leave friends and family to deploy overseas. For a second time. A "lesson" is knowledge gained from experience. A "lesson-learned" is knowledge gained from experience that results in a change of individual or organizational behavior. A lesson is not "integrated" until shared with others. Mil-blogging is its own form of lessons-learned integration. Through others' words, we learn what it's like to be Over There, or Over Here, or Back Home, or Whatever. By reading and writing and sharing, we each gain a better idea of What's Going On, of What We Think, of What Our Neighbors Think. It's not always Big Picture stuff. In fact, it's likely just the opposite: Small bits and bytes and slices of life. But it's always Another Perspective, and the world can always use more of that. You can click on the above links to help nominate these blogs to the voting phase of the competition. I need to make a special mention of "A Little Bit of Pink ..." Just last month, the 23-year-old author and mother lost her Marine husband in the war in Afghanistan. That she has continued to write through her loss and grief is ... words almost fail me here ... it's a gift. It's a gift beyond measure, beyond her family's already unimaginable sacrifice. A "People's Choice" kind of contest probably isn't a worthy recognition of how special and amazing I think this is, but it's all I've got for now. People need to read her words. People need to stand witness. People need to Be There. Milblogging.com has a searchable index of thousands of blogs. Whatever perspective or experience or words or witness you're looking for, you could do much worse than to click over there and read a little more.